Incidents of sheep rustling increased last year. Farm communities have been urged to be on the alert as sheep rustling increased sharply last year, according to a report. Farm animals worth £2.5 million were stolen in 2018 – an 11% rise by value over two years, figures released today by NFU Mutual revealed. Tim Price, NFU Mutual rural affairs specialist, said the scale of the animal theft was a sign of increased involvement by organised gangsters. He said: “A generation ago, rustling was typically a local crime involving a couple of lambs or half a dozen geese being taken ‘for the pot’. Now it’s an organised crime with dozens or even hundreds of sheep worth thousands being taken in a single raid. NFU Mutual has identified three distinct types of livestock theft causing alarm. These include large-scale theft led by organised crime gangs, with livestock destined for the food chain. Thieves are also targeting pedigree rams for their high value as breeding stock, while crime syndicates are also buying and selling sheep at auction to launder money. The insurer said a spate of large-scale sheep raids in recent months has made livestock theft the most costly crime for the UK’s farming sector after agricultural vehicles and farm machinery. The insurer is also concerned by recent reports of animals being butchered in fields, which is undermining food safety. NFU Mutual estimates rural crime cost the UK countryside £44.5m in 2017. 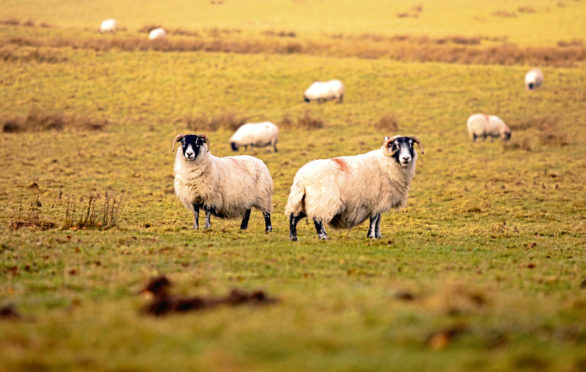 To deter livestock thieves, NFU Mutual has advised farmers to take precautions, including: padlocking field gates; ensure stock is clearly marked and records are up to date; graze livestock in fields away from roads, where possible; consider high-tech marking systems; ask neighbours to report any unusual vehicles loading sheep. The insurer also urged farmers to join a local FarmWatch scheme. Mr Price added: “Rustling is one of the world’s oldest crimes. Even when our ancient ancestors kept goats in prehistoric times, rustling was a feature of farming. NFU Mutual also advises farmers and butchers buying stock to check livestock records and ear tags carefully to make sure they are not buying stolen animals. It also advises members of the public to be wary of buying meat from unusual sources as there may be health hazards as well as a risk they could be buying stolen meat.